Normal people don’t know – or care – about the difference between a CPU (central processing unit) and a GPU (graphic processing unit). They simply want to use their computers to create and view great content. But since I was still in a conference mode following the NAB (National Association of Broadcasters) show, I wanted to see what surprises NVIDIA was going to unveil at their GPU (graphic processing unit) Technology Conference (GTC). After all, they had VR (virtual reality) on the program. 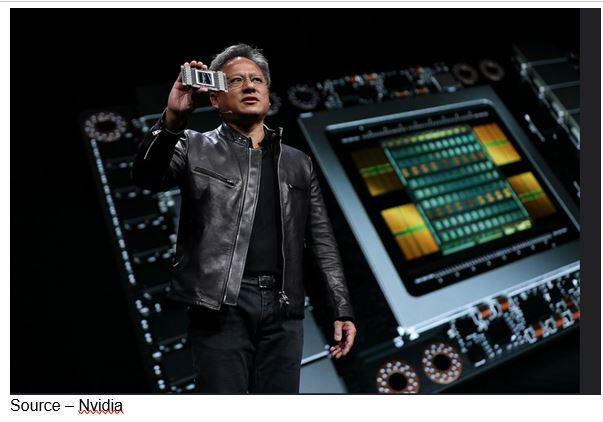 GPU Future – Jensen Huang, founder/CEO of Nvidia, saw the GPU playing a growing role in nearly everything in the future. And he always looks good in his trademark leather jacket! Like many in the industry, he said Moore’s (Gordon Moore, co-founder of Intel) law was running outta’ gas – IC (Integrated Circuit) transistors will double about every two years. The “law” is 40 years old; and every time we think we’ve hit the ceiling, Intel (or someone) pulls a miracle out of their hat. Heavy Lifting – While the CPU handles mundane daily tasks, increasingly robust GPUs will be needed to carry out complex jobs as we move forward. Not that it matters, because GPUs do all the heavy lifting in almost everything – phones, PCs, game consoles, embedded systems (covers a multitude of sins); and as Jensen explained in his keynote, just about everything. NVIDIA staked its earliest claim to fame in computer graphics and video gaming; but they just didn’t seem to be happy “owning” that market. Now, they’re a major player in the very broad high-performance compute arena; which covers, well, everything. Like neural networking, deep learning, software writing software and automation of automation…you know, everything. Yes, that includes vehicles and relationships with Audi, Toyota and probably others. To hint at the car relationships, Jensen showed off the firm’s Project Holodeck with Christian von Koenigsegg, founder of Koenigsegg Automotive AB, four avatars (Koenigsegg and three designers) and one of his $1.9M Regera supercars. The car is super cool and highlighted a very photorealistic, collaborative VR environment that could be used by designers/engineers for more mundane projects to make decisions better, faster. The only problem was the car isn’t street legal in the U.S. because government agencies want cars crash tested; and you know that ain’t gonna’ happen. But it did demonstrate a real VR application; complete with sight, sound and hapatics. 400+ – Huang shows off one of the firm’s newest GPUs with the equivalent of 400 plus computer racks. Then, Jensen showed off the company’s new Volta GPU – about the size of my iPhone – that was the equivalent of 400+ computer racks. All I could think about was what filmmakers – 4K, HRD (high-resolution definition) and VR – could do with that hummer when working on their films. Fast Turnaround – Members of the 30Ninjas VR team quickly turn around the production of the highly successful Jimmy Kimmel 360 show. And it was at this point that the event finally got interesting (for me, at least) because Jensen unveiled more details on the firm’s VRWorks. Initially, VRWorks has two SDKs (software development kits) for VR audio and 360 video stitching. The VR filmmakers we talked with about the SDKs said they will be great for real-time streaming VR. In addition, they could significantly speed – and lower the cost – of professional long- and short-form VR films. VRWorks – Nvidia unveiled the first two SDKs of the firm’s software cloud for creative designers and filmmakers at GTC. The audio SDK provides real-time audio tracing in virtual environments. It creates an immersive environment by modeling sound – reflection, refraction, diffraction – in real time to create a complete, acoustic image of the virtual environment. This results in real-time production of a realistic audio experience for the viewer. At the conference, NVIDIA also released the 360 video SKD which will enable real-time 4K 360 video capture, stitching and streaming. Using two NVIDIA Quadro P6000 GPUs, the SDK can stitch eight 4K cameras in stereo and in real-time; enhancing live streaming of events such as sports, concerts, etc. It will also allow filmmakers to speed the workflow of films during the production/post process. 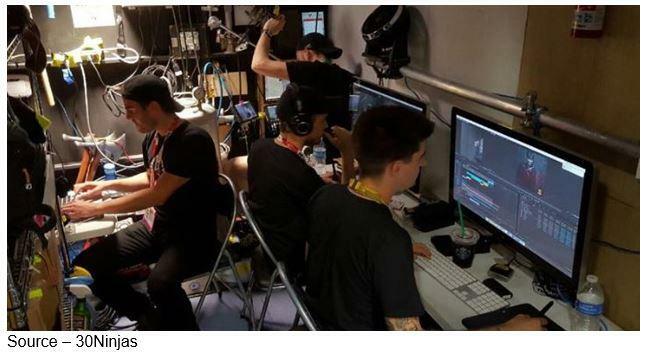 Lewis Smithingham, of 30 Ninjas, who has been shooting/producing VR for more than four years, said the new SDK will eliminate one of the major hassles – stitching – so the filmmaker can focus on fast match-cutting, editing and polishing the film. Lucas Wilson, of SupersphereVR; and Nick Bicanic, of RVLVRLabs, also agreed that the NVIDIA SDKs should help the industry respond to the most frequent complaints about VR…the lack of quality content. “We’re still in the very early stages of VR production,” Bicanic explained. “The early production pioneers have done a lot of work over the past few years discovering what works and what doesn’t work for the viewer. “Someone asked me the other day if Facebook’s closure of their Oculus Story Studio was further proof that VR was just a passing phase,” Wilson noted. “My response was that all it proved was that there are enough Indie filmmakers delivering marketing/promotional VR and short-form content as well as industry big hitters focusing on big budget marketing trailers and long-form films that they had better areas to invest in. “Major, respected companies like NVIDIA are now delivering tools that will help Indies and major studios deliver the volume of entertainment people have been saying is lacking,” Smithingham said. The three filmmakers agreed that the early hype hurt the industry because people were promoting HMDs and it became the classic chicken and egg situation. People weren’t scooping up overly expensive, first/second generation HMDs as fast as industry analysts had projected. Consumers weren’t buying them because there was nothing to watch, nothing to experience. This year, that’s changing – slowly but it is changing. Last year, at IBC, Smithingham recalled visiting the VR film theater in Amsterdam, the first anywhere. “Venues like this could really rekindle the idea of going out to a movie,” he noted. Recently, IMAX announced it had moved past its initial six VR Centre test and would add 10 more locations by the end of the year. 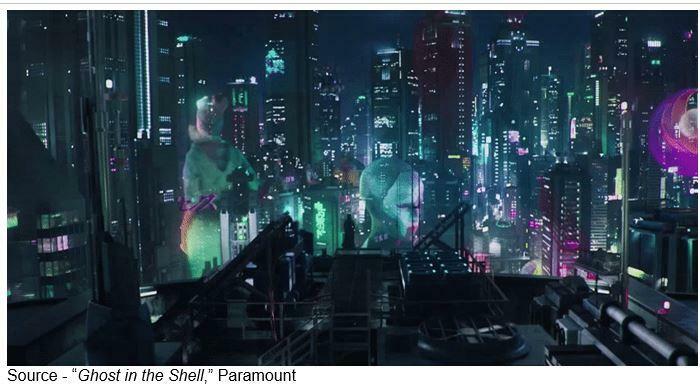 Mark Welton, IMAX president, told investors the pilot locations had excellent attendance. 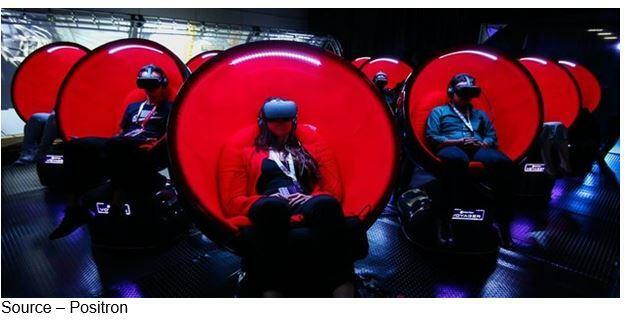 VR Centres – Attendance at specially designed VR presentation venues have proven very successful and more are scheduled to open over the next few years. IMAX will be opening Centres in major cities around the globe this year with added expansion planned for 2018. The company has also been testing a number of different VR pod configurations to determine the best ROI (return on investment). During the investors’ call, IMAX officials noted that each location was generating about $15,000 per week or $780,000 annually. After expenses, including content licensing, the locations would provide $100,000 plus profit. One employee at the LA IMAX VR Experience Centre observed that unlike folks who go to standard, sedentary movies; people actually visited the Centres multiple times and brought others to enjoy the immersive experience. That’s because VR viewing – short- and long-form – can be different every time simply by looking or “moving” in a new direction. But moving in a new direction – especially for your entertainment, information – isn’t as easy as producing new wireless HMDs or 360 video cameras. It requires compelling content. Now that VR filmmakers are getting good, open-source production tools; they can expand the “library” of good to great content. Just as with new product design/development, it requires education in the fundamentals and experience as to what works, what doesn’t. Gartner’s time-proven hype cycle is never in perfect sync with sales cycles. VR “noise” is just starting down the hype slope. And NVIDIA is still adding to the production tool kit VR filmmakers use!